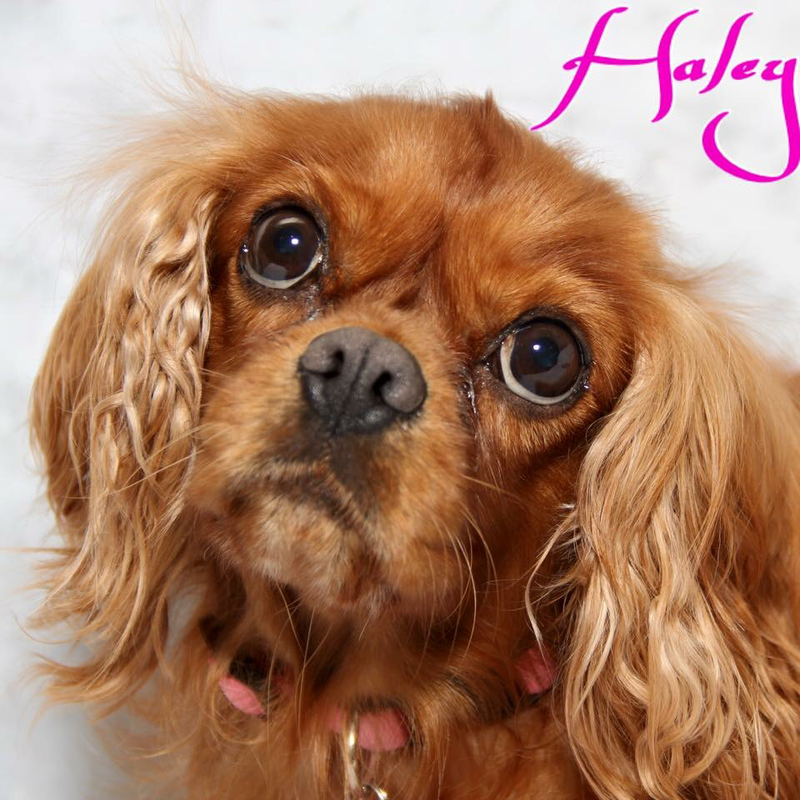 Haley came to us from a breeder where she had spent her life producing litter after litter of puppies. She was apparently unable to give birth naturally and had had multiple C-Section surgeries, resulting in thick layers of scar tissue. Sadly Haley died due to complications while being spayed, a result of being cut open over and over for her puppies. Haley didn't have much time being free from her life as a breeder, but she did die free and loved. She will be missed. Annie the Aussie was released to us at 12 years of age. She had been with her family for 7 years. We didn't know it when we got her in, but she had incontinence issues and arthritis. When we took her to the vet for bloodwork we found out that she was in kidney failure. We tried medication but sadly it was too far advanced, and we had to make the sad decision to let her go peacefully. We stood with her and loved on her as she took her last breath, so she knew she was loved. We have her cement paw print on our shelf next to our other beloved pets paw prints. She was loved.